Cinema has always fascinated with gripping stories of love, action and fate. And it is precisely the film music that awakens memories of goosebumps in unforgettable scenes. 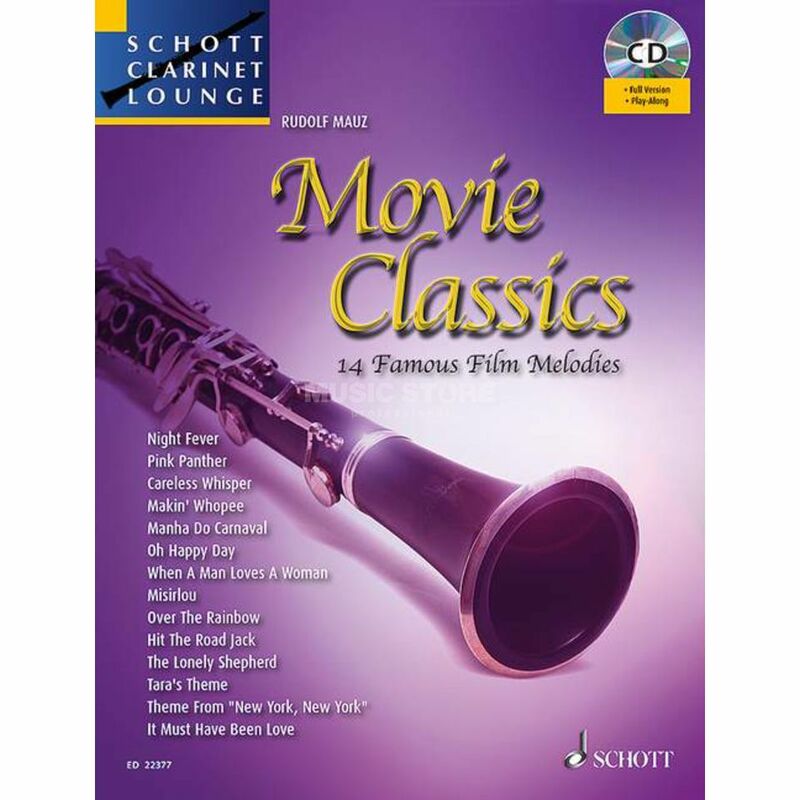 14 well-known film tunes have been attractively and glamorously arranged by successful author Rudolf Mauz (Playing the clarinet - my most beautiful hobby) in the 3rd volume of his new series Schott Clarinet Lounge. The fresh and easily playable arrangements are all included on the accompanying CD, which was recorded by the author himself.